The Government has responded to comments from the Israeli foreign minister who claimed Ireland is among the European countries to have “abandoned” Israel and drew comparisons with the fate of Czechoslovakia prior to the Second World War. 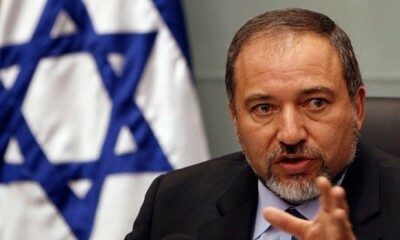 A report in the Jerusalem Post newspaper this week carried the comments from Avigdor Liberman [Pictured left. Photograph: Ronen Zvulun/Reuters], made at a meeting of Israel’s ambassadors to the EU. The Israeli minister said Germany was an example of a European country that understood the challenges faced by Israel and its role as “the only country that represents western values in the Middle East”. Mr Liberman said he would not be meeting the Swedish foreign minister when she visits the country this month over that country’s approach to the recognition of Palestine. Ireland has also taken steps to officially recognise Palestine, and the Jerusalem Post report also namechecks the Wexford Independent TD Mick Wallace, quoting some of what he said to the Dáil during a debate on the issue. “Right now, Israel is losing the struggle for legitimacy and that’s developing into a fundamental problem for them.